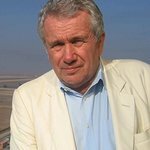 UNICEF UK Ambassador and former BBC war correspondent Martin Bell will share his account of a recent trip to Southern Sudan at a special event at UNICEF’s London offices on 8 July, just a day before South Sudan’s independence from the north. Martin will be giving a speech and Q&A to a round table of bloggers and reporters. To ask Martin your own question about South Sudan, tweet them at @UNICEF_media. During his last visit to South Sudan in April, Martin witnessed the devastating impact on the lives of women and children from attacks by the brutal rebel group, the Lord’s Resistance Army, in Western Equatoria. He met children who are still suffering from the impact of years of conflict, without access to schools, basic health care, and clean water. UNICEF has operated in Sudan for almost 60 years, through decades of conflict, and we are one of the longest-operating organisations working for children across every state in the South.